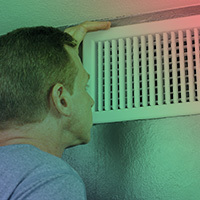 The air ducts in your home are vents that carry both heated and cooled air to all the rooms — and if anything gets in the system, this can create an unhealthy indoor air quality. At Air Nation, our HVAC services expand to air duct cleaning because an optimally functioning ducts makes or breaks the health of your home, and helps extend the longevity of your HVAC system! Follow along in today’s post to learn about the benefits of air duct cleaning and learn more about this service here. When you schedule an air duct cleaning service, ensure that your entire HVAC system is being serviced, because it all should be cleaned together. Similarly to cleaning your bathroom, you wouldn’t just clean the shower and call it good — you would also scrub the toilet and wipe down the mirror. The same sentiment is true for the HVAC system, you want to clean the whole thing. When just one element is cleaned the others are subject your home to recontamination, yielding the service ineffective. Freeing contaminants – Your vents may have contaminants without your knowledge, and it’s crucial to remove any whether it be mold, debris, or a rodent. To remove the contaminants tools are used such as brushes, air whips, or vacuuming. Gathering contaminants – Throughout the entire cleaning process, the HVAC is placed under a high-pressure vacuum to prevent any further contamination and collect the debris that was set loose. What situations qualify an air duct cleaning service? There are people who believe that air duct cleaning is just another service professionals can charge for that don’t really benefit them, but this is far from actuality. It improves the indoor air quality (IAQ). People spend a lot of time in their homes, so the IAQ should be clean and healthy. Because we’re in a region where the air conditioning is pumping a good four months (or more) throughout the year, ventilation doesn’t happen very often. Since your home is not being ventilated, it cannot breathe, and thus air is circulating over and over. If the air has harmful contaminants, you’re creating an unhealthy home environment. There is even a condition called “sick building syndrome” that is typically seen in the workplace where employees complain of chronic headaches and respiratory problems as a result of poor ventilation — this could be happening in your home. The Environmental Protection Agency (EPA) has ranked IAQ as one of the top five environmental crises, with it being five times (or more) polluted than the outdoor air. It improves your home’s energy efficiency. If you’ve watched your monthly energy bill gradually increase, it could be as a result of dirty air ducts. Not only can a poorly sealed and insulated ductwork cause energy inefficiency, so can the dirty, internal portion of the ducts. If there is any debris such as pet hair, rodents, or clothing items (it happens), it can block the airflow. When the airflow is compromised, the air has a hard time reaching its destination and therefore takes more energy, which means higher bills to you. If you have a compromised immune system, allergies, or sensitivities, it could be directly related to dirty ducts. Asthma and allergies have been linked to poor air quality, so when you address your ducts, your health improves. Air duct cleaning is amazing on so many levels, as it improves your home so you can sleep well knowing your health and pocketbook are safe. 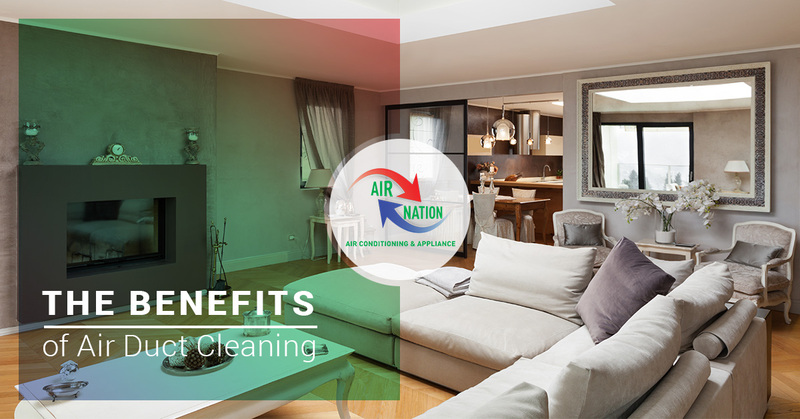 Air Nation is a reputable company that provides HVAC cleaning services. References/testimonials – It’s always important for a company to have a positive rapport with the people and homes they serve. Peruse their website or ask if they can provide references. Estimates – Good companies will always give estimates and provide upfront pricing. Avoid “specials” – Some companies run gimmicks with a “special” price, and this is where they’ll add-on services and bill you for a completely different price than you thought you’d be paying. Work with a company who is reputable and provides the best air duct cleaning services in Northern Florida, and make an appointment today.